Congratulations on becoming the leader of the Republican Party. 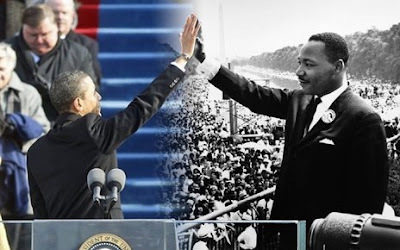 Just as President Obama made history by becoming the Democratic Party nominee for president and later as president of the United States, so too your election to head the GOP is a history-making achievement. It also speaks volumes about a new ethic of inclusion by the Republican Party. You never know, this might even inspire the environmental movement to integrate. We agree that America needs to expand drilling, just not off our east and west coasts and not around our precious Florida beaches. But we digress. We will assume that Mr. Steele will maintain the company line and oppose cap-and-trade or carbon taxes. We support cap-and-trade but oppose carbon tax proposals. You never know though, John McCain might just get Mr. Steele and the GOP to support a cap-and-trade program. Like McCain, we assume Mr. Steele will be a supporter of nuclear power as a tool for mitigating climate change. And of course, we know Mr. Steele supports solar, wind, energy efficiency and other renewables technologies in the fight for energy independence and a clean environment. Susan Rice will be a central player in developing a global warming mitigation plan. She will be working on the plan with Hillary Clinton, Secretary of the Department of State, Stephen Chu, Secretary of the Department of Energy, Lisa P. Jackson, Adminstrator of the U.S. Environmental Protection Agency, Nancy Sutley, Chairwoman of the President's Council on Environmental Quality and Carol Browner, Energy Czar. Rice also has nuclear nonproliferation on her agenda. We hope the Obama administration will embrace the Global Nuclear Energy Partnership (GNEP) for cooperating countries in order to promote the safe and secure use of nuclear power for electricity production and climate change mitigation. We also hope she will support the U.S.-India Civilian Nuclear Cooperation Initiative (1) (2), and other '123' Agreements. There is chatter that Carol Browner is 'running' the energy, environmental and climate change show for President Barack Obama. Nothing could be further from the truth. President Obama has assembled a talented team to help solve our nation's energy, environmental and global warming problems. Moreover, Hillary Clinton, Stephen Chu, Lisa Jackson and Nancy Sutley were all confirmed by the Senate to officially lead their respective departments, agency and council. The blogosphere is just full of speculation that Browner is going to somehow dominate these other powerful people. We believe this 'team' will aggressively address the challenges in their respective areas and they will need to coordinate the cross-lapping nature of energy, environment and climate change issues. Browner has been selected by the president to provide the 'harmonizing' element. Each of these areas is huge and will be a challenge for the best minds in the world. President Obama demonstrated 'vision' when he served on the Senate Environment and Public Works Committee. So he knows these issues very well. I have confidence that the Obama administration will come up with some very good recommendations for solving our energy, environmental and global warming challenges. We look forward to supporting his plans to provide abundant suppplies of energy at reasonable prices while protecting the environment. Is it a coincidence that so many companies are cutting jobs just at about the same time the economic stimulus package is moving through Congress? Monday, January 26, 2009 is being called "Black Monday" because it was announced that more than 72,000 jobs were lost, including 6,700 from Starbucks (300 stores closed), Allstate, Boeing, Dell, AOL and others. How will increasing corporate average fuel economy standards (CAFE) to reduce oil imports and to meet global warming mitigation goals affect the black community? Automakers say that quickly forcing requirements for more stringent emissions standards could force them to drastically cut production of larger, more profitable vehicles, and could add to their financial problems. They even state that if the California waiver to Clean Air Act requirements is granted by EPA, it will run them out of business. The big car makers are borrowing billions of dollars from the government to avoid bankruptcy and cutting thousands of jobs. Dealerships, including black-owned car dealerships, are struggling to sell cars due to the credit crunch. Franchises are also being hit with the cancellation of certain model lines, which creates another business problem for dealers. Can black car dealerships remain open in this climate and will blacks purchase hybrids and other smaller fuel efficient vehicles. Many blacks like the larger vehicles and tend to avoid vehicles styled in the fashion of the Toyoto Prius. A challenge for GM is whether blacks will purchase the Volt and Cadillac Escalade Hybrid in large numbers. These vehicles appear to conform to a more stylish design than the Prius-type and might be a big seller in the black consumer market. Let's hope so. Although we support the EPA waiver, we would really like to see Congress pass a cap-and-trade global warming mitigation law and international treaty that includes China, India and other countries. Hopefully, such legislation, combined with auto manufacturing company government loans and the stimulus package, will not only restore the economy at large, but will also enhance the black consumer auto market. Automakers also support one set of national requirements that would combine state, federal and stakeholder concerns. The Obama administration should reconcile these problems by designing and passing legislation that will be most efficient and effective for the nation. Black-owned car dealerships are at significant risk of mass closures. Many have already gone under or have been absorbed by other dealers. Black Enterprise magazine has publicized that this sector represents one-third of the revenue generated by the largest black-owned companies in America. The collapse of this sector would do great harm to the entire black community and its related consumer markets. 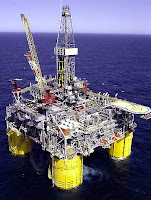 The Obama administration should re-impose a ban on expanded offshore drilling that was lifted last year by the Bush administration and allowed to lapse by Congress. Any plan to open tracts off the Atlantic and Pacific coasts where drilling has been prohibited for decades is a bad plan. Congress should also re-impose the ban. America's east and west coasts are too valuable to be risked for oil development. The coasts of Florida should also be protected into perpetuity. We should also restrict foreign countries from threatening our coasts with such offshore oil development. The greenosphere is in a frenzy about new polls showing that Americans neither understand nor particularly care about climate change -- one from Rasmussen, another from Pew. A few semi-coherent thoughts: Lots of folks seem to be having exactly the wrong reaction to this, which is that enviros need to try even harder to "raise awareness" of climate change and "educate the public" on climate science. Ugh. The public is already "aware" of climate change. It's friggin' everywhere. It gets as much as or more publicity than virtually any other sociopolitical problem outside the economic downturn. Pop stars are writing songs about it fer chrissake. Awareness: check. As for educating the public on the science, guess what? The public's kinda ignorant about science. Have you seen the polls on evolution, or ghosts, or aliens, or telepathy? They're horrifying. There's a lot to know these days, and most people don't know most of it. Changing that is impossible a long-term undertaking we don't have time to wait on. So, if people are already "aware," and a renaissance of widespread scientific literacy is unlikely in the next few years, what direction to take from these polls? You have to start with plausible answers for why so many people refuse to believe in or prioritize climate change. Start with this question: why don't you ever see polls on public knowledge of the Standard Model in physics or valence bond theory in chemistry? Because frankly, who cares if the public understands those things. They need to understand science insofar as science impinges on their lives and calls on them to make decisions. Is this a problem that threatens me/my family/my tribe? Is there an imminent threat? Is it an emergency? Do the proposed solutions to the problem threaten me/my family/my tribe? Am I going to get screwed? almost always the science that goes, not the commitments. Only safety and survival are prioritized higher. So the public -- at least around half the public -- rejects evolution. imminent threat and they do believe that proposed solutions threaten their security. So they reject the facts and put it out of their mind. It's not a scientific way of thinking, but it is human nature. Greens, politicians, and other communicators need to get serious about calling climate change the impending catastrophe it is, with serious, dire consequences for people now living, certainly for their children. That means risking being called "hysterics" by conservatives and their dupes in the media. The same folks need to get better at showing the public the opportunities and benefits of action. It's about expanding the winner's circle and making damn sure everybody in it, or potentially in it, knows about it. That's what will change the poll results. It pains many geeky progressives to realize it, but science is largely beside the point here. It informs the strategy, but it is not itself a strategy. The relevant realm is sociopolitical, and so the strategy must be values-based, rhetorically savvy, and emotionally resonant. Repeating the facts won't help. Will CBC Promote Black-Owned Energy Company Stimulus? Blacks do not own energy companies because they have been locked out of this capital intensive area. There are some exceptions but, for the most part, African Americans do not own the oil, coal, natural gas, nuclear, pipelines, railroads, trucking, electricity lines or even the wind and solar companies in America. 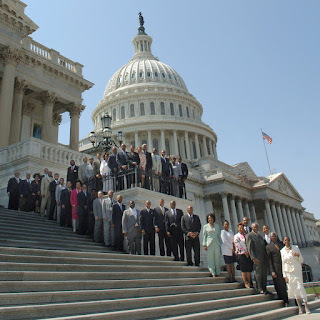 Regardless of the past circumstances, the Congressional Black Caucus should request that part of the $820 billion American Reinvestment and Recovery Plan should be used to create African American ownership of energy companies, supporting infrastructure and transport vehicles. Some will hate the idea of such a race-based proposal, but race is the reason that blacks own virtually no component of energy infrastructure in America today. If $840 million in Troubled Asset Relief Program (TARP) can be used to bailout Wall Street companies based on their market failure, surely some of the second draw of that money, combined with some of the newly proposed $820 billion can be used to expand energy company ownership opportunities. In fact, minority contracting can be waived under the TARP. Our recommendation is to start with partnerships to construct the 3,000 miles in new electricity power lines being recommended by the president. Natural gas and other pipelines could also include partnerships to achieve the goals of our recommendation. Incentives should be given to encourage mentor/protege energy business development agreements. In addition to the rapid push for green jobs, we should also subsidize the formation of green business ownership. The U.S. Senate confirmed by unanimous consent the nomination of Lisa P. Jackson yesterday to be administrator of the Environmental Protection Agency (EPA). AAEA supported the nomination and attended the Senate Environment & Public Works confirmation hearing. Congratulations Administrator Jackson. We wish you the best as you guide America towards a cleaner environment. We will do everything in our power to help you on your mission. Global warming will be Administrator Jackson's biggest challenge. She will probably oversee the promulgation of regulations to mitigate climate change at the same time Congress considers global warming legislation. AAEA supports a cap-and-trade program, which is currently President Obama's recommendation. AAEA does not support a carbon tax. Neither does the Obama administration. We will be recommending a hybrid program made up of a domestic program and an international treaty or treaties that includes the USA, China, India, Europe and other countries. A competitive and market oriented program should be designed to reduce greenhouse gases while enhancing economies. It never should have been built in that location because it is too close to people. The BRESCO waste-to-energy incinerator in South Baltimore, which burns city garbage, has been allowed to operate on an expired air pollution permit for about two years. Now some environmental groups have filed a lawsuit in the Baltimore Circuit Court to force the Maryland Department of the Environment to set new emission limits for the trash incinerator. The effort is being led by the Environmental Integrity Project. AAEA supports their action and would be happy to join the lawsuit. 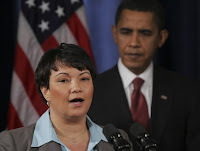 In this post-racial era, "The Washington Post" environment reporter Juliet Eilperin, left, is finally compelled to quote a black person because Lisa Jackson will be the new EPA administrator. Imagine that. Fate does have a sense of humor. 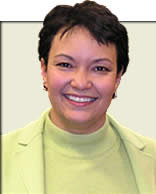 We just noticed how it jumped out at us when Eilperin quoted President-Elect Barack Obama's EPA Adminstrator-designee Lisa Jackson. Go back and check the record if you think we are just being 'overly racially sensitive.' This is not the first time we have pointed out Ms. Eilperin's proclivity for not quoting blacks on environmental and energy issues. Now, it appears, she has no choice. Too funny. Barack Obama is already making a difference. The Robert J. Knox Research Institute (RJK) has been established as a project of the African American Environmentalist Association to continue the work that was diligently pursued by its namesake. The RJK Research Institute will publish research papers and other documents that address issues of faith and environmental justice. Mr. Knox was passionate about environmental justice issues and he was very deliberate in working on faith-based initiatives during his career. We are combining his twin interests and hope that researchers will publish thought provoking papers that will be published in a tome entitled "Faith and Environmental Justice." Bob Knox was a friend and inspiration to AAEA as he was to many other institutions and people all over the country. Mr. Knox was the consummate professional while serving as Associate Director of the Office of Environmental Justice at the Headquarters of the United States Environmental Protection Agency (EPA). He was the EPA representative at the White House Faith-Based and Community Initiatives Conferences. Mr. Knox made everyone feel welcome at EPA and although he will be missed, we have established the RJK Research Institute to provide a vehicle to complement his unique insights and intelligence. Bob did not pursue the spotlight or even credit for his many accomplishments, but he was a dynamic force and a true hero. As a member of AAEA, Bob will always serve as an example for all of our members, staff and volunteers. Bob may not be with us anymore, but his spirit will live on through the research others will submit to the institute for publication. Special thank you to Mr. Knox's widow, Betty Knox for granting AAEA permission to establish the Robert J. Knox Research Institute. Blacks make up 13% of the population and 37% of America's 1.2 million annual abortions. Taking 37% of America's 45 million abortions between 1973 and 2005 equals 17 million abortions. Stephen Chu, President-elect Barack Obama's designee to be the Secretary of the U.S. Department of Energy appeared before the Senate Energy and Natural Resources Committee today. Although he was warmly received, he was peppered with numerous questions about coal and nuclear power. Mr. Chu handled himself very well. His wife and brother accompanied him to the hearing. AAEA President Norris McDonald spoke to Mr. Chu after the hearing about a specific energy issue. Senators challenged Mr. Chu on his coal and nuclear positions and asked for clarifications. He expressed support for nuclear power and coal as parts of the nation's energy mix. He described his views about nuclear spent fuel recycling (supports it), accelerating use of loan guarantees for building new nuclear plants (supports it), and clean coal through carbon capture (supports it). Chu hedged his bets on offshore oil drilling because the Obama administration has not established a clear position on this issue. Chu was enthusiastic when discussing climate change and using energy efficiency as the principle weapon to combat it and to reduce our nation's dependence on imported oil. He stated that America needs cooperation with China and India if climate change and coal ue are to be reconciled. The DOE has a $25 billion budget and 14,000 employees and more than 193,000 contract workers. Stephen Chu has been director of the Lawrence Berkeley National Laboratory, which has 4,000 employees, since 2004. 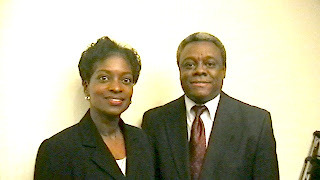 Mignon Clyburn, right, is the Chairwoman of the Anybody Can Serve (ACS) national campaign being sponsored by the National Association of Regulatory Utility Commissioners (NARUC). ACS is a national energy efficiency campaign focused on putting America's energy future back in the hands of the people who matter most--the American public. The national campaign was launched at The National Press Club's James R. Murrow room on Friday, January 9, 2009. Ms. Clyburn was joined by NARUC President Frederick Butler in launching the campaign. Anybody Can Serve...So Let's Conserve is educating and engaging consumers through the use of innovative, multi-media tools about the simple things we can do to change our energy consumption habits, slow the depletion of natural energy resources and save money. As a first step, the Anybody Can Serve...So Let's Conserve partners will encourage people to begin taking action on January 19, 2009 as part of the National Day of Utility Service, celebrated in recognition of the spirit of service to self and community often promoted on the Dr. Martin Luther King, Jr. Holiday. AAEA totally agrees with the ACS steps to achieve energy efficiency: Change incandescent light bulbs to energy efficient ones. Wash your clothers in cold water, Weatherize your home, Use a low flow energy shower head, Buy energy efficient appliance. Keep thermostats at 70 degrees during the heating season and raise your cooling thermostat to 78 degrees during the summer. Turn off and unplug electronics when they are not in use. Make sure yuor hot water heater is insulated and run your dishwasher only when it is full. Participants at the launch included the Federal Energy Regulatory Commission, Edison Electric Institute, Southern Company,WGL Holdings, AARP, Earth Day Network, National Black Conference of State Legislators, Council of State Governments, African American Environmentalist Association, American Association of Blacks in Energy, American Gas Association, Community Action Partnership, Georgetown Eco-Action, National Associaton of State Utility Consumer Advocates, National Conference of Black Mayors, National Hispanic Caucus of State Legislators, National Organization of Black Elected Legislative Women and the World Conference of Mayors, among others. ACS Chairwoman Mignon Clyburn is pictured above with AAEA President Norris McDonald at the launch. AAEA supports the nominations of both designees. Barbara Blum, right, founded the Women's National Bank in 1983 after having served as Deputy Administrator of the U.S. Environmental Protection Agency in the Carter Administration. She changed the name of the Women's National Bank to the Adams National Bank in tribute to Abigail Adams [and mainstream sensibilities]. Ms. Blum stepped down from Adams Bank after a hostile takeover in 1998. Premier Financial Bancorp Inc of Huntington, West Virginia, is buying the Adams National Bank and the combined bank will have assets of about $1.2 billion and deposits of about $950 million. 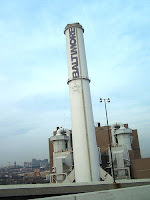 The deal is expected to close by July 2009, pending regulatory and shareholder approvals. Barbara Blum, right, was of great assistance to us in our formative years in the 1980s. AAEA President Norris McDonald first met Blum in 1979 when she was a board member at what is now Friends of the Earth. She was invaluable to the early success of AAEA and we appreciate her assistance. From 1983 to 1998 she was Founder, Chair, President and CEO of the Women's National Bank, the oldest and largest bank then owned and managed by women.